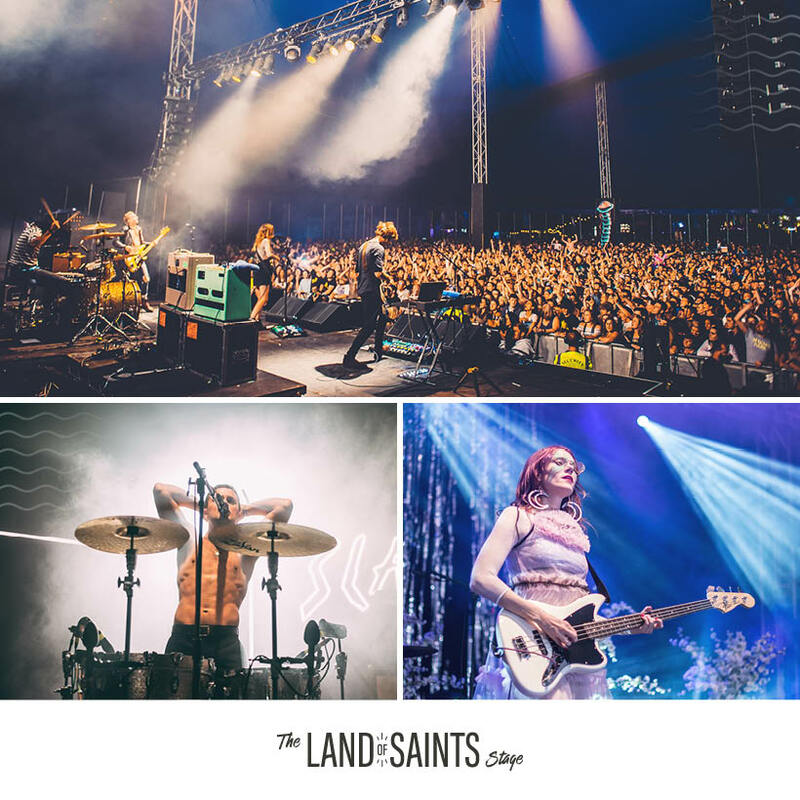 Whatever your style, if it’s got an independent spirit and kicks hard you’ll find it at the Land of Saints stage. Land Of Saints - the evolution of our original Mavericks stage - returns in 2019. From it's birth as the bastion of rock on site we’re keeping true to our roots whilst expanding the vibe. Royal Blood played here in 2014, The Darkness slayed the crowd in 2015, 2016 saw Wolf Alice wow the stage in the headline Friday slot, and Slaves blew the roof off in 2017! And – just like the surf community – we’re a broad church. Expect to get down to Kate Nash or Kurupt FM, Wretch 32 or Example, Roots Manuva or Jake Bugg. Whatever your style, if it’s got an independent spirit and kicks hard you’ll find it at the Land of Saints stage. Welcome to the family-run Keg & Pasty, a 17th century pub positioned atop cliffs overlooking the breathtaking Watergate Bay. Watch seabirds and fishing boats while sipping a frothy ale in the pub garden, or prop up the bar listening to the rich history of smugglers, wreckers, undiscovered treasure and even (according to folklore) the odd friendly spirit. 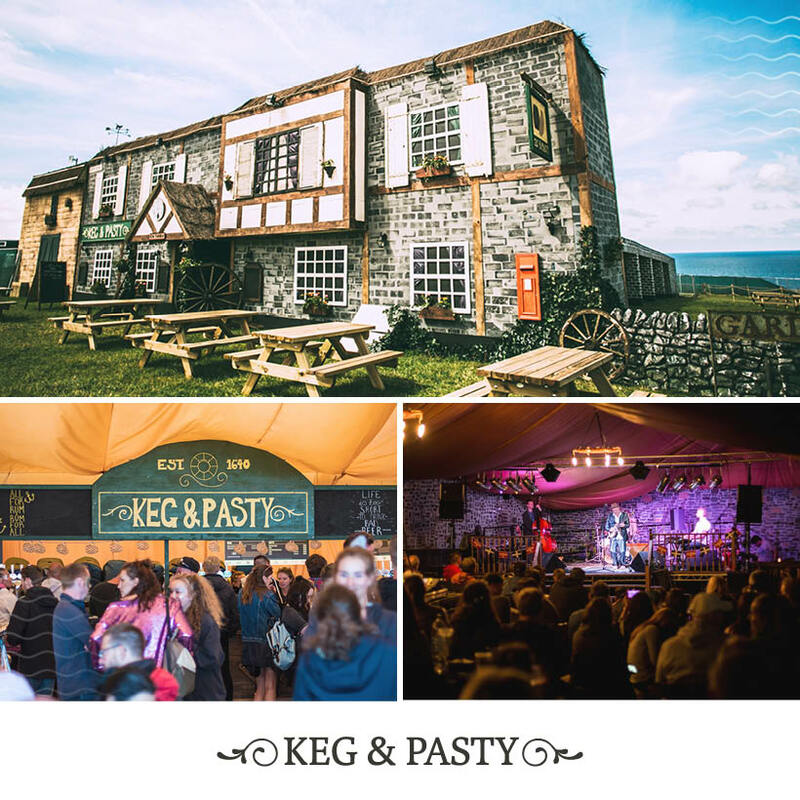 Sit back and enjoy the array of stand-ups and musicians who grace the famous Keg & Pasty stage, with a golden hand-crafted pasty in hand. Bleddy ‘ansum. Established in 1640, the Keg & Pasty was built on the clifftop by the Gummow family, whose distant relatives still run the pub to this day. Rumour has it that in the 18th century, fierce landlady Prudence Gummow and her husband Yestin were the ringleaders of the local wrecking and smuggling crew – often plundering wrecked ships and receiving smuggled goods with enthusiasm. The pub owners would work with the lighthouse keeper, who would purposefully not light the lamp when ships came close, joining in with the looting of ships as they ran aground on the infamous Tiddy Oggy rock. Legend has it that under the protection of the Gummows, The Keg & Pasty became the key meeting place for local smugglers to discuss plans over a pint of ale and a hearty pasty. They would hide their contraband within a secret room hidden deep in the heart of the pub, before regaling locals with tales of adventure and piracy. It's thought that the pub had secret passages leading from the bottom of the garden well to the caves on the west side of the bay, but if it did exist, it has long been blocked. There are also those who suggest the bounty of a wrecked Spanish galleon was stashed in the foundations of the Keg & Pasty pub, rumours that continued to fuel when a small collection of gold coins were discovered in a renovated back room in the year of 2013. Prudence and Yestin allegedly spread stories of ghosts and demons around the village to keep prying eyes away from their illicit activities; and ironically, Prudence herself became a ghostly legend. Long after her death, local drinkers report seeing a ghostly apparition resembling the old landlady walking slowly through the garden and looking out to sea to warn ships who are sailing too close to shore. The pub is currently run by Tristan and Rose Knocker - distant relatives of the founders - who've served the community with delicious pasties and beer for over 30 years. They've made it their mission to discover further evidence of secret smuggler passageways, hidden treasure and ghosts; continuing the tradition of rich storytelling by booking local stand-up comedians and musicians, who take to the stage to entertain the sozzled punters. 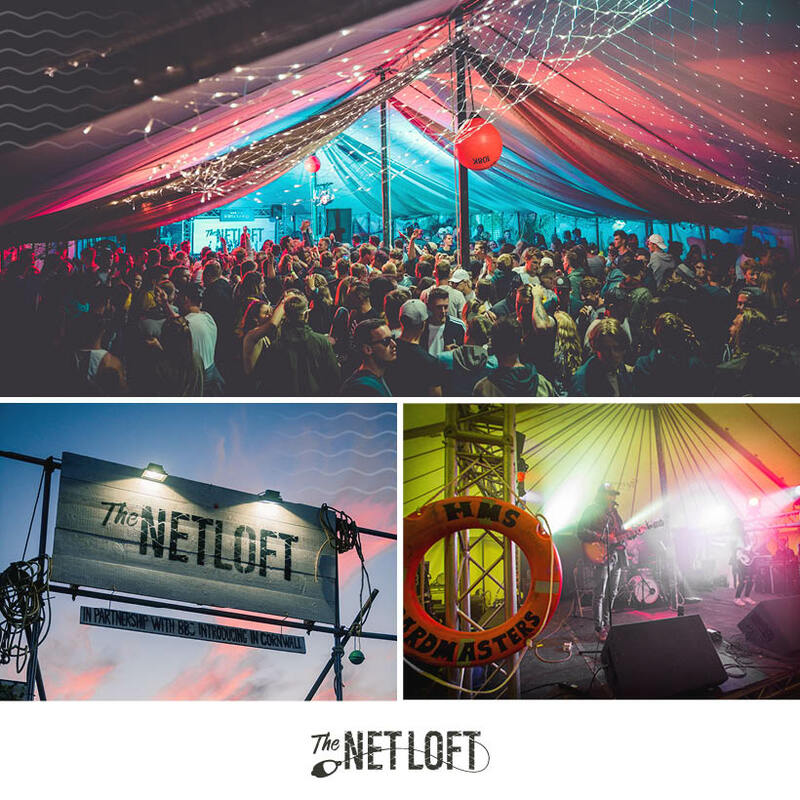 Introducing The Netloft, a working fisherman’s cottage that dates back to the 18th Century. It’s the hard-living homestead to legendary Cornish fisherman ‘Uncle’ Tommy Tellam and his wife Rose, who regularly invite musicians and party-goers from far and wide to drink and dance the night away. Come and join them for a legendary knees-up! 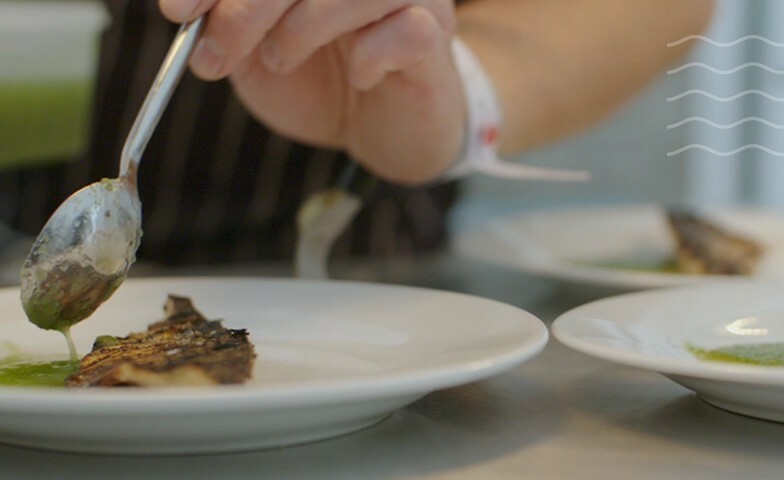 The Netloft is a working fisherman’s cottage that dates back to the 18th Century; homestead to legendary Cornish fisherman ‘Uncle’ Tommy Tellam and his wife Rose, who you’ll spot hanging out their fisherman’s nets each night. Uncle Tommy is a legend amongst locals, and let us tell you why… from bagging the biggest fish in the Cornish seas to wrestling with pirates and sea monsters; he’s done it all. Rumour has it whilst sailing the seas, he fought and killed giant sea serpent Morgawr with his bare hands. Locals suggest that in 1983 he caught the biggest shark ever hooked in UK waters; and after it capsized his boat, he surfed it back to shore. As a young man, after hearing of a Cornish couple that had been captured by Somali pirates, he allegedly rowed from Cornwall to the Horn of Africa armed with just a penknife and a six-pack of ale, and proceeded to single-handedly beat up forty-two pirates and free the hostages. 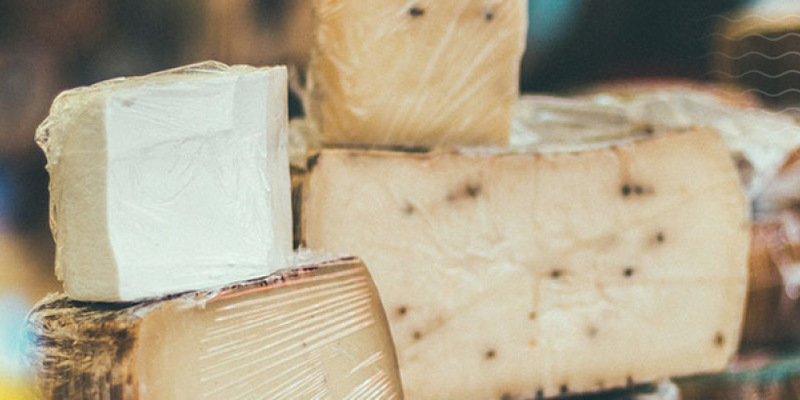 Tommy and Rose are fans of a proper Cornish shindig, hosting legendary parties every August. They invite the best musicians from far and wide, opening their doors to starrye-eyed first timers and year-round regulars. Watching Tommy stomp out a jig on the kitchen table while balancing a pint on his pipe is definitely a sight to behold. What shall we do with the drunken sailor? Join him on the dancefloor, of course. 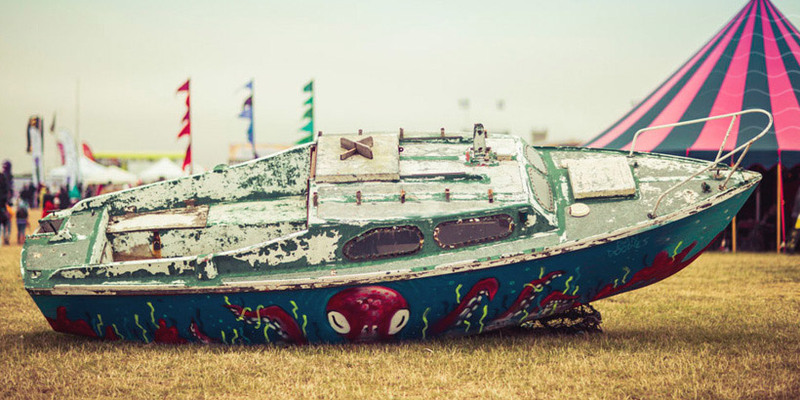 The heart and soul of Boardmasters, presenting new and exciting artists in an unparalleled setting. Come and chill out amongst the hay bales to see future headliners start their careers. 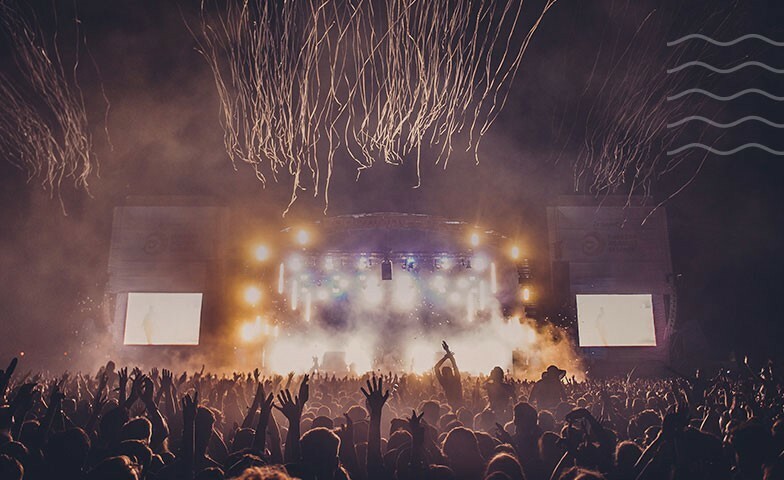 The heart and soul of Boardmasters, presenting new and exciting artists in an unparalleled setting. 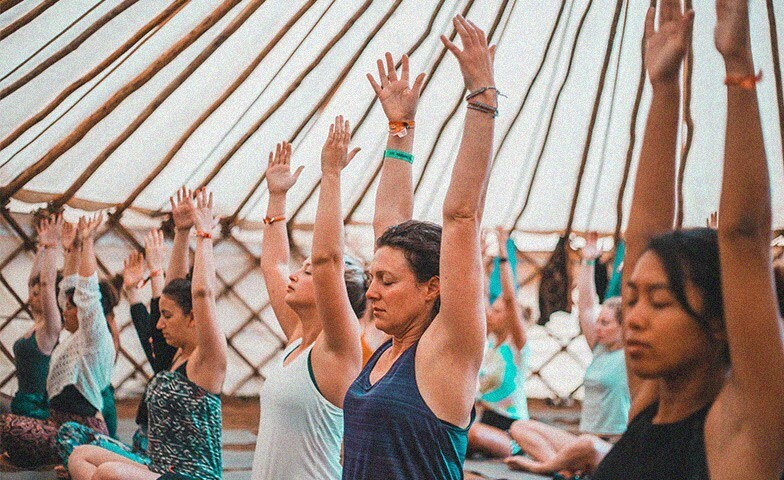 Come and chill out amongst the hay bales to see future headliners start their careers. George Ezra, Newton Faulkner and Ben Howard all began their journey on this hallowed stage. The best uncovered UK talent in front of the best UK landscape. There’s a reason we call this perfect anytime retreat The View. You can also expect a suprise set or two throughout the weekend, so be sure to keep those eyes peeled. With a VIP ticket you'll have access to one of the finest views in Cornwall. 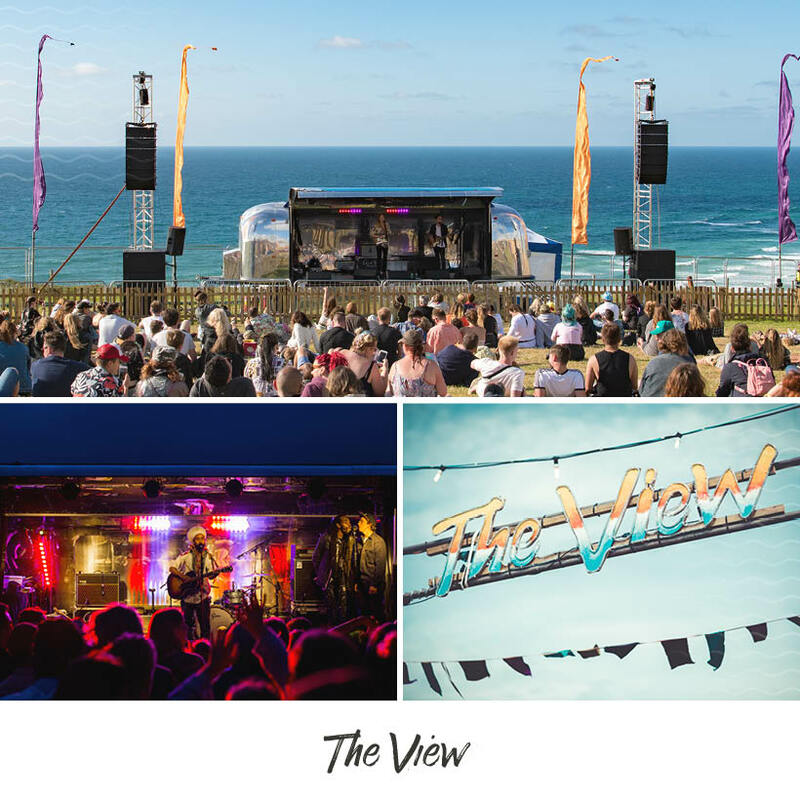 Drink in the view of Watergate Bay and the sprawling sea from the luxury of the spacious VIP bar; located on the same gentle slope as The View stage. 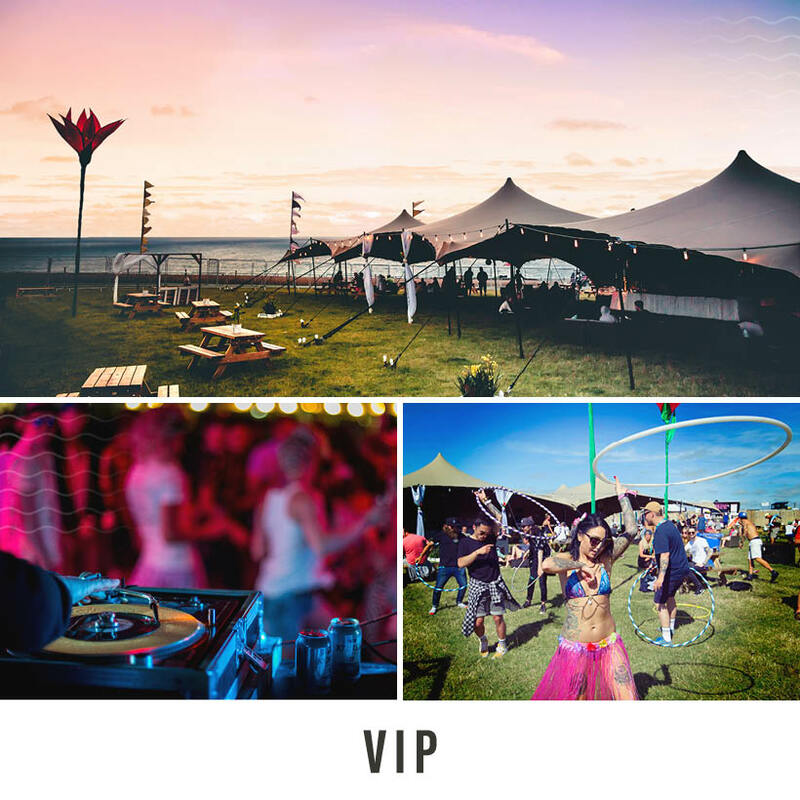 Not only will you have the best view in the house, the exclusive VIP bar will allow you to relax in the seating area, enjoy privately billed artists and open the possibility of a bit of star spotting as the artists have access to the same bar! 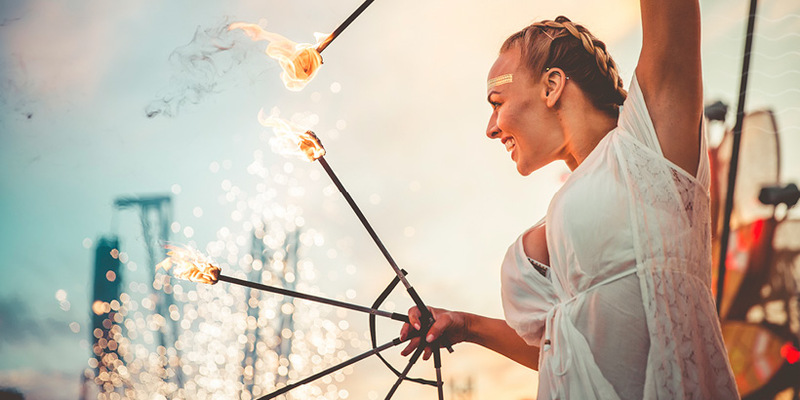 Watch the Land of Saints come to life with magical lanterns and mysterious fire performers lighting the way. 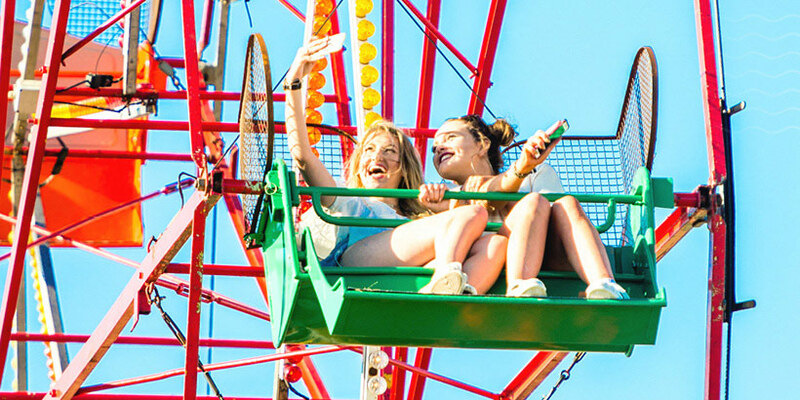 Join us to embrace the thrills of yester-year with our antique funfair; experiencing the dizzy heights of vintage ferris wheels, helter skelters and much more. As you twist and turn your way through the festival, feast your eyes upon magical sculptures and iconic pieces of art; each with their own story to tell.